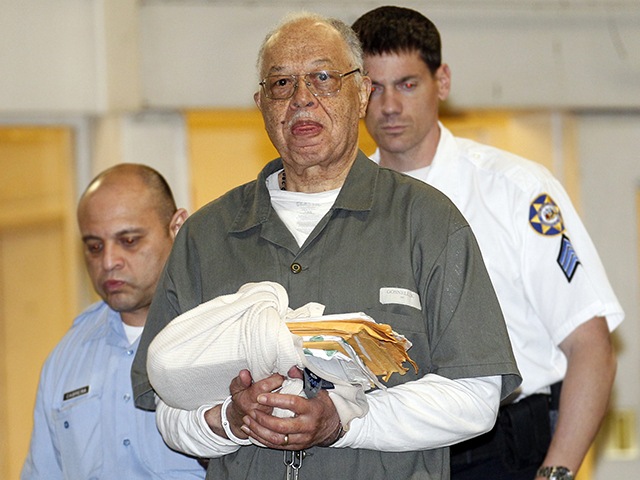 Today marks the one-year anniversary of the conviction of late-term abortionist Kermit Gosnell, who was found guilty of murdering living babies after botched abortion procedures. Justice was served in that courtroom on May 13, 2013, but it is appalling to see Americans barred from debating this vital health issue on the floor of the U.S. Senate. A stalled Senate bill with 40 co-sponsors, called the Pain-Capable Unborn Child Protection Act, would limit abortions in the United States after 20 weeks – the point at which studies have shown the unborn child has the ability to feel pain. The House passed a similar measure in June of last year, and several states have enacted their own version of the law. But Senate Majority Leader Harry Reid (D-Nev.) isn’t bringing it to the floor for debate. Poll after poll shows the majority of Americans support such a measure and that women are more in favor of a 20-week limit than men. Even one in five people who identify themselves as abortion rights supporters, according to an NBC News poll, are in favor of the cutoff. In fact, according to a Quinnipiac poll, the majority or plurality of Republicans, Democrats, Independents, women, men, whites, blacks, and Hispanics agreed that if given the choice between limiting abortions at 20 or 24 weeks, they favored 20. Today, according to a study done by the Charlotte Lozier Institute, America is one of only seven countries that permit abortion on demand after 20 weeks. We share that distinction with such human rights champions as China and North Korea. More than 40 years after the Supreme Court invented a right to abortion, thousands of children continue to lose their lives to abortion on demand every day. Government estimates put the number of abortions performed past 20 weeks at about 11,000 per year. These late-term abortions not only take the lives of children capable of feeling pain, but also place women at increased risk for serious complications or even death – and the horrific clinic run by Kermit Gosnell was a case in point. Unless you live in a state with an enforced law limiting abortion, it is generally possible to get an abortion up to the moment of birth, if you can find a willing abortion doctor. Many abortion advocates claim that is not true, but abortion clinic ads like those seen here show that it is. The Gosnell case should shine a spotlight on these late-term practices and force people to confront the dangers faced by women and their unborn children. But it’s an election year. And what vulnerable senator wants to have to explain a position on such a touchy subject? Reid appears to be preventing them from that political hassle. The problem is, this isn’t just another political issue. The visceral reaction people have to hearing about bags of babies’ body parts outside Gosnell’s clinic proves that. This is inexcusable. And it’s something that deserves Americans’ attention, both inside and outside the Washington Beltway. Join us today at noon ET for a discussion of women’s health and abortion in America. Here’s the latest on the IRS’s political targeting of Americans. Does your state have an official state snack? Check out what happened when the New York legislature decided it needed one. We really shouldn’t bring known terrorists into the United States. Is it possible to “go too crazy” on the issue of voter ID? Just look how far school choice options have come in a little more than two decades.